Can we have a little celebration right now, please? S and I have officially crossed the finish line of our four year marathon-I’m talking about undergrad! Everything is submitted: exams, posters, theses, and assignments are done done done! What’s that? There’s more school coming up soon?? That’s alright, let’s pretend that’s not true, have a brownie, and then take a loooooong nap! I made Peanut Butter White Chocolate Brownies-come on now, just judging by the name, you know it will make you giddy with joy! The peanut butter and chocolate combination is a classic, but when you add mini white chocolate chips, vanilla ice cream, and a warm caramel sauce, it becomes a magical experience. 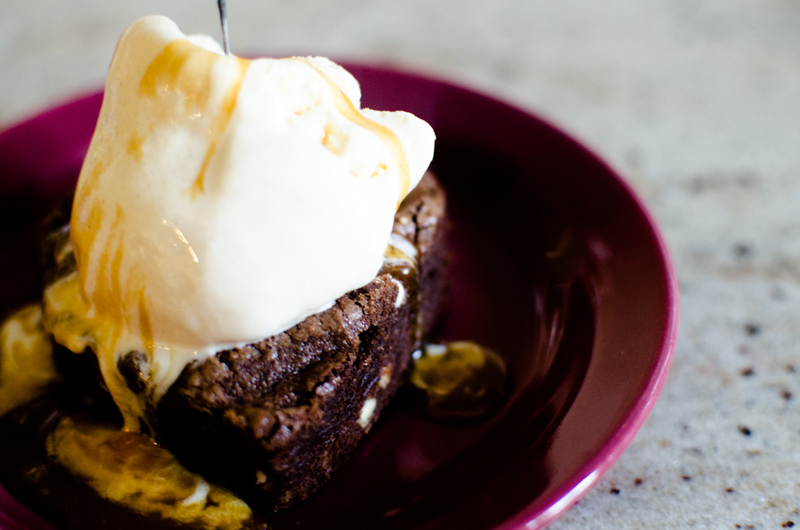 The brownie recipe and overall inspiration is from a blog called Culinary Concoctions by Peabody, and the caramel sauce is modified from Smitten Kitchen’s Salted Caramel, which I had made for the Caramel Brownies a few weeks ago. This dessert was the perfect reward for getting through the ordeal that is exam season! 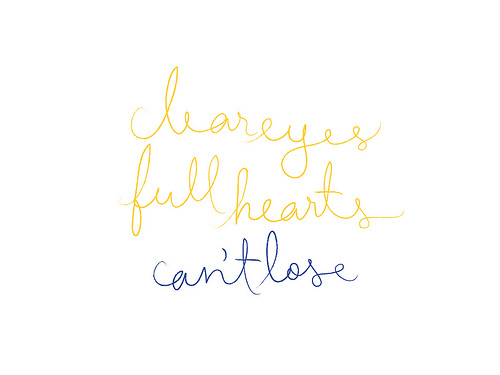 Now that this time in our lives is coming to an end, moving on to the next chapter is both scary and exciting. New adventures, new places, new people! Thanks to V for the stunning photos! Have a wonderful week, and see you soon! Spray a 9-x-13-inch pan with baking spray, or butter and flour it. Using a double boiler, melt together the unsweetened chocolate and butter. When both are melted, remove from boiler and whisk together to blend chocolate and butter fully. 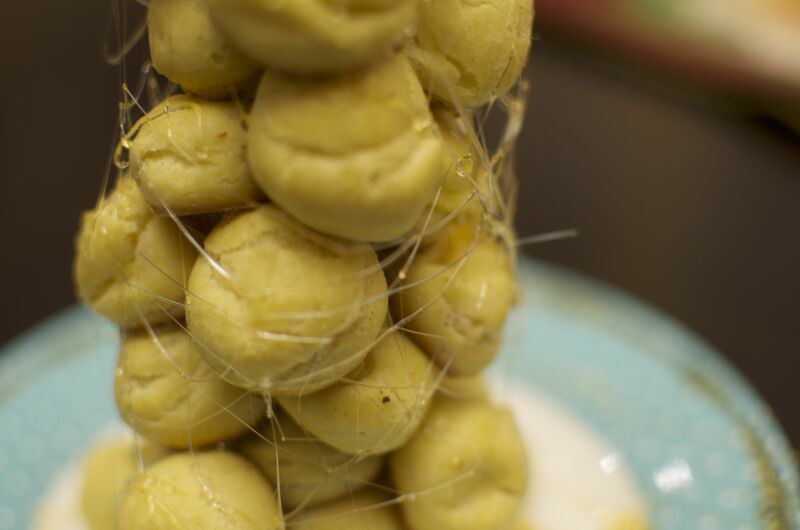 Whisk in brown sugar and peanut butter until fully incorporated. Set aside. 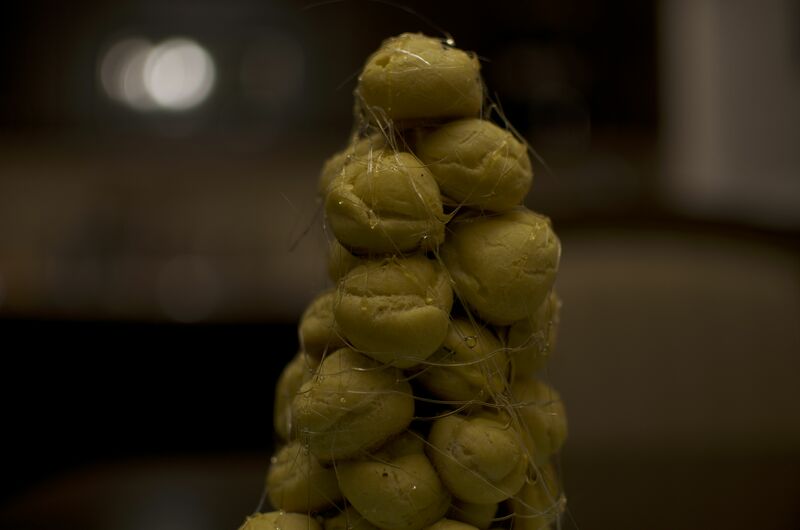 Using a stand mixer (or a large bowl and an electric hand mixer) with the whisk attachment on medium speed, whisk together the eggs and granulated sugar until eggs become pale in color, about 2 minutes. Add the vanilla and beat for another 30 seconds. With mixer turned off, pour chocolate/peanut butter mixture into the mixing bowl. Mix together on medium speed until chocolate/peanut butter mixture and egg mixture are fully incorporated. Remove bowl from mixer. Add flour and stir using a wooden spoon. You could keep it in the mixer, but I find if you do this step by hand you tend not to over mix. You want to make sure the flour is fully incorporated but not over mixed. Fold in chopped peanuts if using. Pour into prepared 9-x-13-inch pan and bake for 30-35 minutes, or until a wooden skewer or sharp knife comes out with a few fudgy crumbles stuck to it. In a medium, dry saucepan over medium-high heat, melt your sugar; this will take about 5 minutes, stirring if necessary to break up large chunks. By the time it is all melted, if should be a nice copper color; if not, cook until it is. Remove from heat and stir in butter. It may not incorporate entirely but do your best. Stir in cream and salt and return saucepan to the stove over medium-high heat, bringing it back to a simmer and melted again any sugar that solidified. Cook bubbling caramel for a few minutes more, until it is a shade darker. 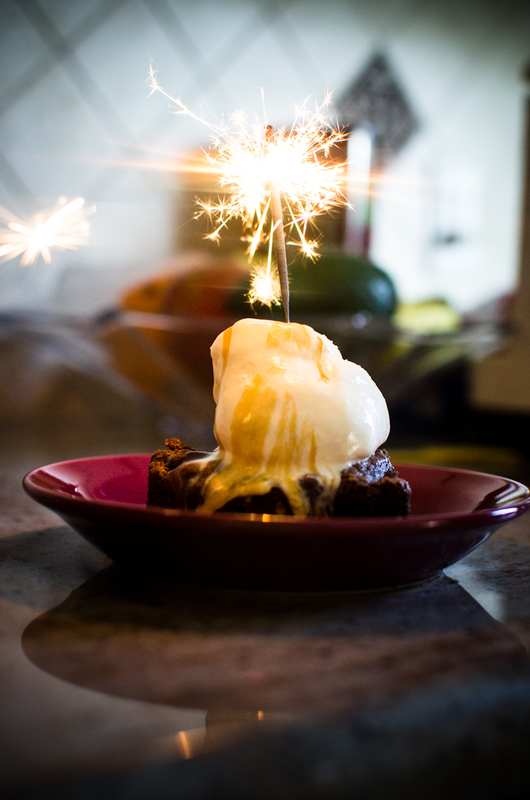 I was going through the past posts on our blog recently, and I realized that we only have one brownie recipe! 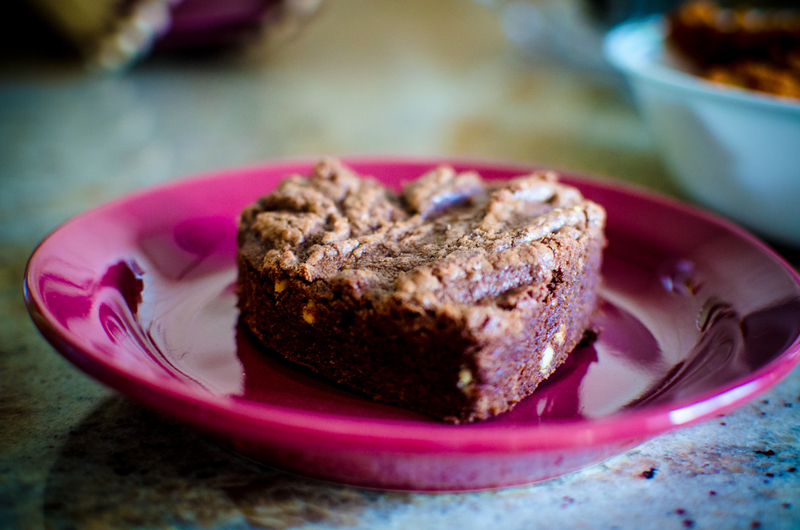 On a website called Sweet Little Brownies, there needs to be more brownie action! 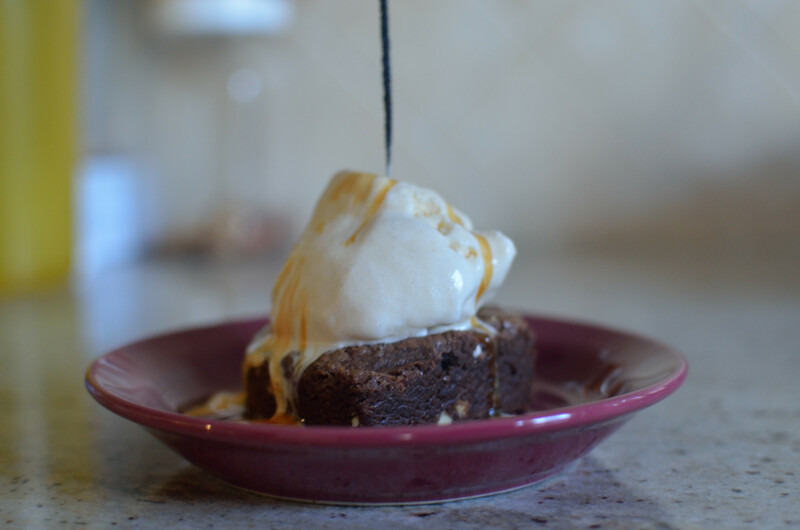 A friend of mine sent me the link to this Caramel Brownie recipe, and I thought it would be the perfect addition to our growing repertoire. The recipe is from Smitten Kitchen, which is a great blog. I once made her “100% from scratch” marinara sauce, and it was amazing! So, I was not at all hesitant to try this recipe out, and it did not disappoint! I followed the recipe and instructions exactly, and they turned out great! 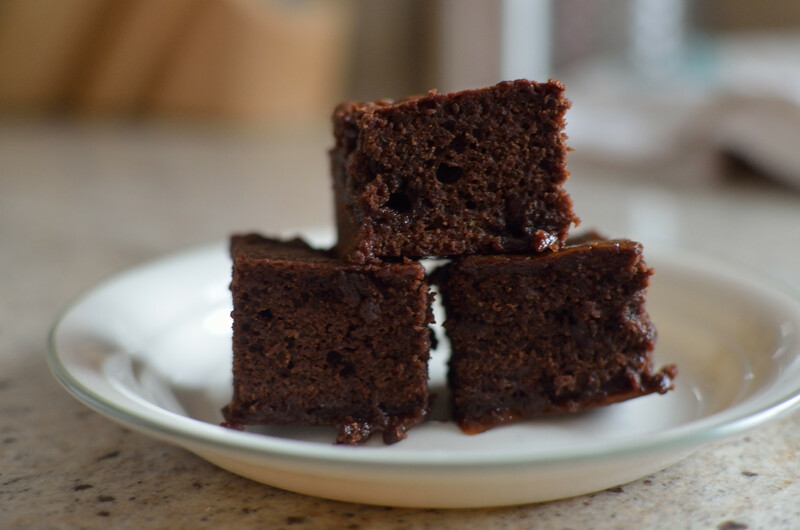 These brownies are really yummy! They’re the perfect balance between cakey and fudgey, and then you get the extra oompf from the gooey caramel. 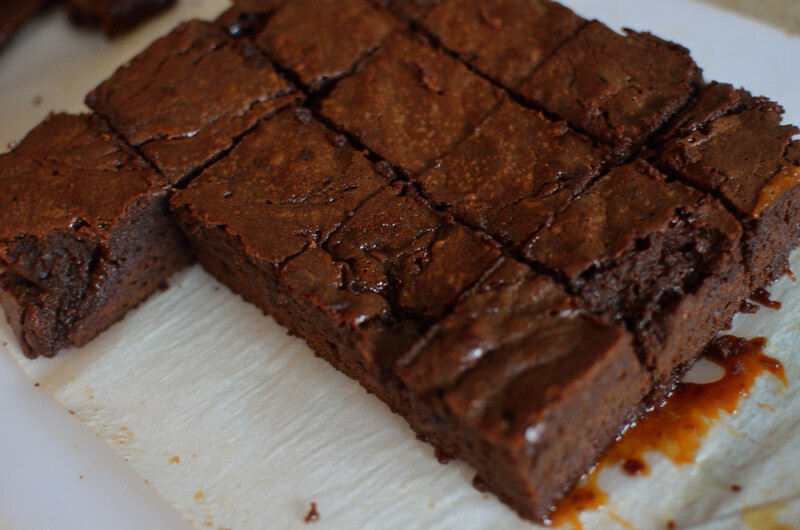 To be perfectly honest, they’re one of the best brownies I’ve ever had. The bestest brownies ever are served at a restaurant on campus, and they’re are affectionately called “Crack Brownies” by my friends and I, so I think second place to those is a bit of an achievement. Below, I included the link to the Smitten Kitchen blog, where you can find detailed process pictures and directions. Thanks for coming by this week! Enjoy the beautiful spring weather! Make caramel: Set a square of parchment paper over a medium-sized plate. 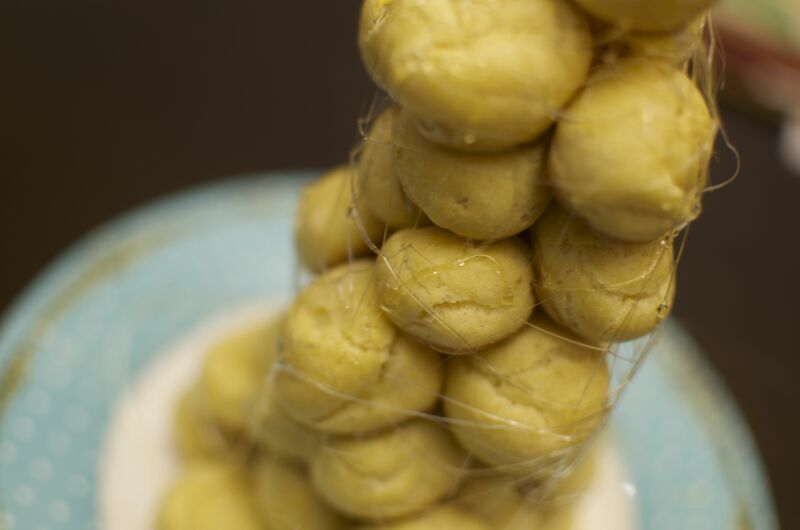 Lightly butter or coat the parchment with a spray oil, just as an added security measure. Pour out onto parchment-covered plate and transfer plate to your freezer. Freeze until solidified, which can take anywhere from 20 to 30 minutes in a decent freezer to 40 minutes in my terrible one. 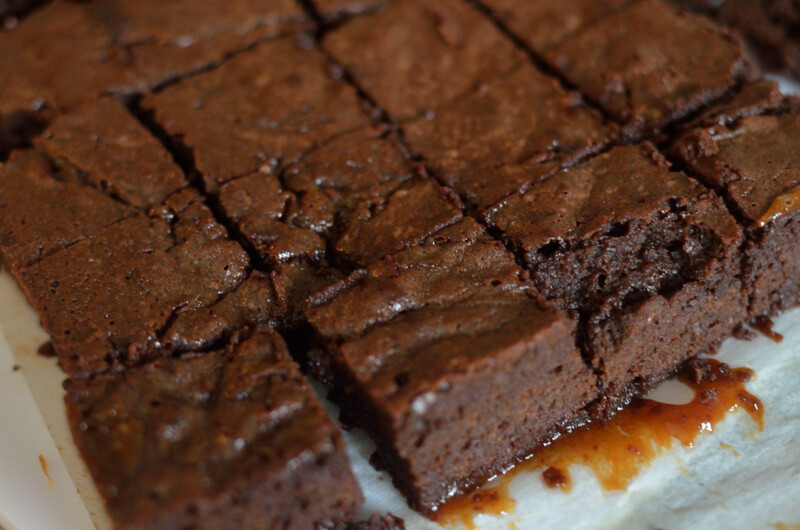 Meanwhile, or when your caramel is almost firm, make your brownies: Heat oven to 350°F. Line an 8×8-inch square baking pan with parchment, extending it up two sides. Butter the parchment or spray it with a nonstick cooking spray. In a medium heatproof bowl over gently simmering water, melt chocolate and butter together until only a couple unmelted bits remain. Off the heat, stir until smooth and fully melted. You can also do this in the microwave in 30-second bursts, stirring between each. Whisk in sugar, then eggs, one at a time, then vanilla and salt. Stir in flour with a spoon or flexible spatula. 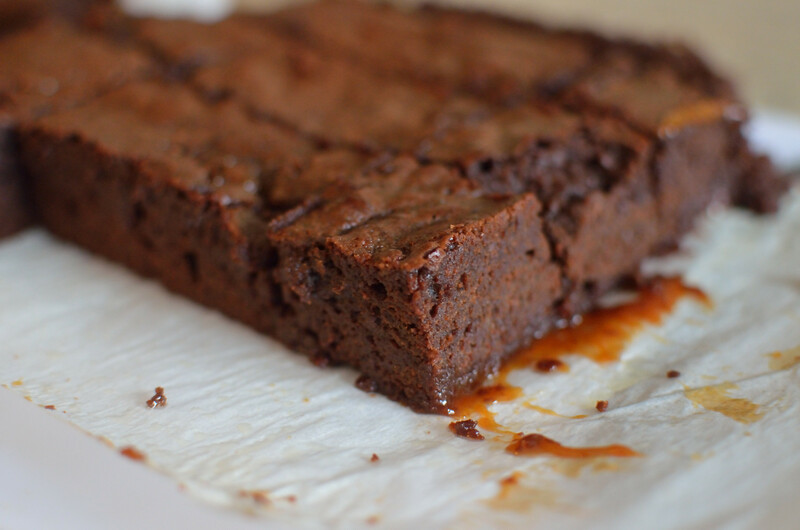 Assemble brownies: When caramel is firm, remove it from the freezer and chop it into rough 1-inch squares. Gently fold all but a small amount of caramel bits into batter. Scrape batter into prepared pan, spreading until mostly even. Scatter remaining caramel bits on top. 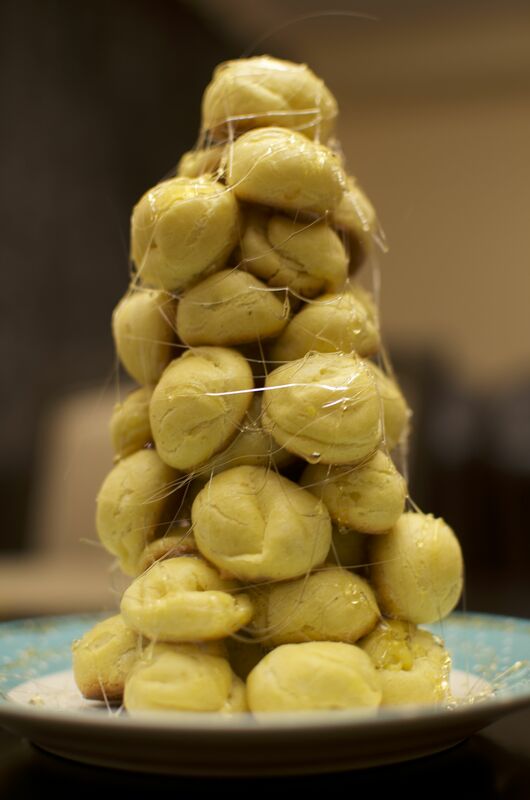 Bake in heated oven for 30 minutes, until a toothpick inserted into the center comes out clean. Cool thoroughly — a process that can be hastened in the freezer, which will also produce cleaner cuts — and cut into squares or other desired shapes.